Meeting Ortenzia Borre in person could make you feel inadequate - the Australian born woman, of Italian and Russian heritage, is tall, slender, dresses, impeccably, and is strikingly beautiful. But Ortenzia, 31, puts anyone in her orbit completely at ease immediately. It's not simply what she does - it's inherently who she is. 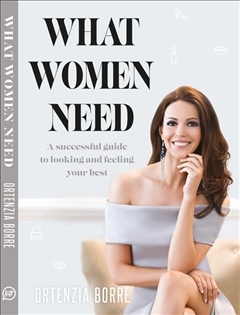 Ortenzia is the author of brand new book 'What Women Need', and she's well qualified to be an authority on the topic. 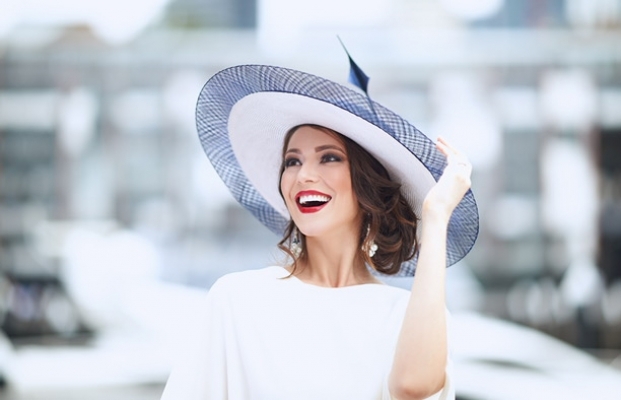 She's a model, TV journalist and long-time model mentor for Australian etiquette queen June Dally-Watkins. Ortenzia says she has inadvertently spent years helping women look and feel their best. She explains in the interview below conducted with Josie's Juice how women - friends and those she met in her travels - would ask her for tips on what to wear, how to act in particular scenarios, and little rules on what today we would call 'life hacks' - the pearls of wisdom to getting it right in social situations, in an age where we are seemingly more social (thank you, Instagram) but instead losing the art of socialising, and yes, etiquette. Josie's Juice first saw Ortenzia in person at the My Face My Body awards in November 2017, and from across the room it was obvious the woman had class in spades. Does it sound like we have a woman crush on Ortenzia? Why yes, we confess... we do! When we next met Ortenzia the launch of her book at The Langham in Sydney (where she is also ambassador for the five star hotel), she continued to be class personified, from her beautiful aura to her welcoming nature, putting all at ease instantly. And good manners and grace run in her family - we spent hours chatting with Ortenzia's family and it's clear style and poise are genetic, with Ortenzia's mother and sister exuding this kind of confidence and warmth, with good looks to boot. Even Ortenzia's fiancé is incredibly welcoming. When we speak ahead of the launch for our interview, Ortenzia speaks to Josie's Juice from her car, having come straight from a meeting which had gone over time, and her first instinct is to make sure all was okay with the slight delay. She has an infectious laugh and such a sunny nature, but this woman is clear about who she is and where she is going, proving driven, intelligent, clever women can indeed come wrapped in a pretty bow with impeccable grooming and matching accessories - of course she can! We know this of course, but Ortenzia is a woman after our own heart, and someone we'd proudly offer as an example of a role model for young girls. As a matter of fact, we have a copy stashed just for her, and she is 10. The kind of example I'd like this young girl to follow. Josie's Juice: Congratulations on firstly, writing a book, and secondly on the fantastic and relevant content. How did it all get contextualised in your head that this is the book you wanted to write? Ortenzia: It's all to do with my background in media and modelling. I've been modelling for about 15 years and while modelling I went into journalism. She doesn’t do CVs, she only hires through recommendations. So I became one of her leading mentors for a fews years while still presenting and modelling. And over the years I have always taken notes on everything, from observations, questions women would ask me, to my own personal lightbulb moments. I knew one day something had to come from it, I felt there was a need for it. In my mentoring of women, they all had the same questions, so I realised there must be a gap in the market for a guide which is all the simplicity of my message, and also about confidence. And that's how the book came about. I have so many notes, and when the opportunity came to give it the time it needed I thought, I'm going to push through and keep writing, and voila, we have a book! Ortenzia: Absolutely, I've been really careful to not pigeon hole the book as an etiquette book - it's not. It's not an etiquette book because I feel now etiquette is being confident and comfortable. You're confident in your own skin and you're comfortable in yourself and in you making everyone around you comfortable and confident, then your etiquette is on par. JJ: I love that! I love that this is the crux of the book. I have a daughter so the first thing I said to Emma (the book's PR) is that this is excellent and I want to give it to my daughter because there are scary times ahead and I am responsible for her understanding of the social media landscape, and her navigation of life in general at this tender age. Actually the cheeky little thing started an Instagram account without my permission, so I monitor all of her posts which is on her private account, and tell her when it's inappropriate, when she posts song lyrics with videos, and a pensive look on her face. I say, this is way too serious and too deep for your age. You are ten! I do agree that making her, even at this young age, and others, feel comfortable in themselves, as you said, is understanding etiquette. Ortenzia: That's it, that's my main message and it always has been. 'Manners' is how you make other people feel. I always tell people, if in doubt, and you don’t know what to do, make the people around you feel comfortable. That's why I really didn’t want it to be an etiquette book; I want to target every woman, a young woman like your daughter to be able to receive it and not roll her eyes but go, you know what mum, this is really good thank you. It's all based on confidence. If a women is comfortable in her skin she will have good manners, she will be in the right mind frame, and make the right decisions, and she wont be making decisions out of fear. That's the message from the book. We also cover topics such as how to dress for your body shape. Ortenzia: Living in Australia and the 21st century where everything is more relaxed and casual, it does happen, however being a mentor I’m not in the position to judge. Instead I see it as a situation where they don’t know how to act, or they're lacking the skill or that knowledge. I have a filter of "I can't judge as it would be wrong of me" because I know something that someone doesn’t, and secondly everyone is an individual and everyone chooses to represent themselves in their own way. My book is about encouraging who you are and supporting the person and individual you are. Ortenzia conducted a masterclass at The Langham in February 2018 (stay tuned for more dates!). In the 'What Women Need' masterclass, she answered some of the most common questions asked by women of all ages (and some men!) about how to showcase your finest qualities and present yourself in the best possible light. AND! Josie's Juice is giving away a copy of Ortenzia's book! - comment below (or send me an email at josiegags@optusnet.com.au) and tell us why you'd like to win this fab book! Want to own your own copy right now? Head to Ortenzia's page to order today.